There are many ways a certified diver can help marine conservation and marine research projects, some of which will only take a few minutes of your time. Because of over fishing and the destructive practice of finning, many shark species are near extinction. Sharks researchers are building databases of sighting to help learn more about migratory patterns and ranges. ECOCEAN’s Whale Shark Photo-ID Database based in Ningaloo, Australia is a great example of how the scuba divers and snorkelers can contribute to marine research. Their Wildbook of Whale sharks is a database where divers can upload images of whale sharks and fill out a short form with location data. Whale sharks have distinctive patterns over the gill areas that are different on each animal. 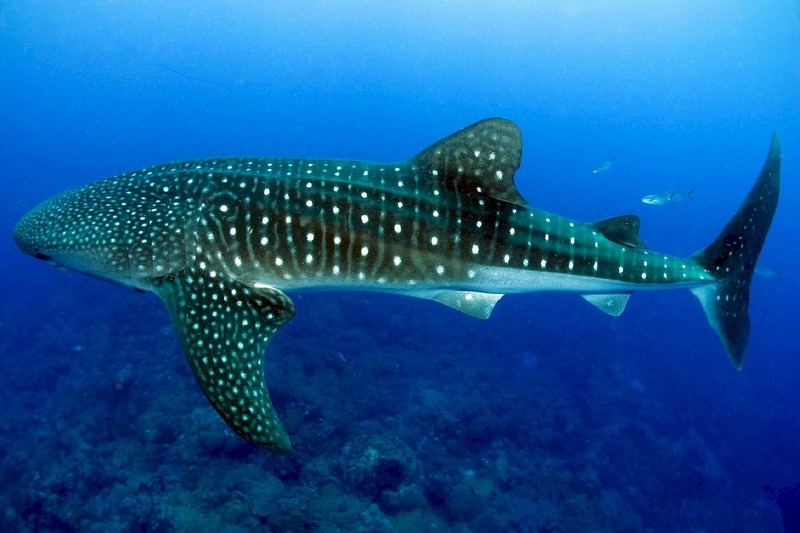 Using a recognition software similar to facial recognition software, they can match the patterns with whale sharks already in the data base and update the sighting records. If the images are clear and the data submitted is complete but the animal is not in the data base, a new record will be made. So that duplicate records are not made, only the left side pattern is used to add a new animal. A set of photographs showing both the left and right sides of a whale shark taken in Donsol, Philippines on 8 February 2016, became the 7045th whale shark in the data base. Researchers can access the data base and find out where different whale sharks have been sighted. The Shark Baselines Project of Stanford University would also like to see your images of any shark you see. This might not be entirely a citizen scientist project, however, it is extremely important. I dive most frequently in the Indo-Pacific, where I frequently see a few very colorful but deadly lionfish. They are interesting to watch as they gracefully move and then swiftly attack small fish. While they are commonly seen, they are only in small numbers. They are not a native species in the Caribbean, however, a few appeared in the mid 1980s along the coast of Florida. By 1995, they were found along a wider portion of the Florida coast. 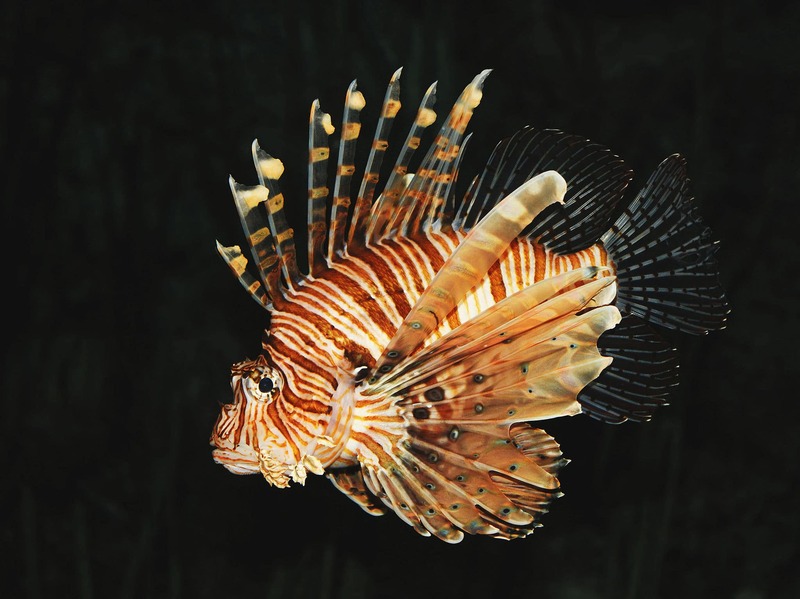 Using DNA samples from captured lion fish, scientist were able to determine that the no less than five nor more than twelve lionfish were introduced into Florida waters. With no known predator and not being seen as a threat by local species they continue to spread. By the year 2000, they had been found along the US eastern coast as far north as Massachusetts. The year 2009, saw the lion fish in every portion of the Caribbean sea. Invasive species being introduced into an area is not new. It has happened many times before and often a local species is killed off. Zebra and quagga mussels from the Black Sea has done considerable damage in the Great Lakes and beyond, the lion fish is different. The lion fish has become the dominate species on many reefs in the Caribbean. They grow fast and eat just about anything smaller than itself. When a lion fish eats all it can, the stomach will expand to accept more and the mouth can even stretch to accept bigger fish. Examination of the stomach contents of young lion fish commonly show 20 to 30 juvenile fish of other species. On some reefs, the grouper and snapper populations have dropped 90%. Female lion fish will lay 2,000 eggs every two to four days. In the Indo-Pacific most of these eggs get eaten, but not in the Caribbean. Reef Environmental Education Foundation (REEF) is a grass-roots organization that seeks to conserve marine ecosystems by educating, enlisting and enabling divers and other marine enthusiasts to become active ocean stewards and citizen scientists. REEF programs were initiated in 1993 in Key Largo, Florida, USA, their primary program has been Fish Survey Project. In 2001, they started the Invasive Lionfish Program to help control the spread and educate people of the risk of lionfish. They are now the clearing house of all lionfish programs for the different governments and conservation groups involved in the effort. If you are diving in invasive lionfish waters, learn about the problem and if possible take a dive or two catching yourself some lionfish. Many areas now have lionfish derbies with prizes for the most caught and largest lionfish, most derbies are followed by cook offs. Lionfish are good eating, so if you see them on a menu, do your part and eat some. Founded in 1996 by marine ecologist Dr. Gregor Hodgson, the Reef Check Foundation is an international non-profit organization dedicated to conservation of two ecosystems: tropical coral reefs and California rocky reefs. Reef Check stewards monitor reef health and reports the information back to a central database that is used both for reference and research purposes. Reef Check trains divers in the methodology they use and the reporting system. The training is generally done at dive resorts or dive centers who have staff that have been qualified as trainers and generally have a few sites they have taken responsibility for. The training takes two days. There is a land based portion of the training, that focuses on how the surveys are done, how reports are created and marine life recognition based on the local region. The second day of training is hands on, practicing the procedures underwater and judging the results. After completing the training you can assist doing the reef surveys. If you frequently dive a reef that is not being surveyed and have a trained dive buddy, you can be a steward of your reef and do the survey to be added to the database. Ideally, each surveyed reef should be resurveyed at least once a year. If you search online you can find numerous programs in many different fields that accept volunteers. Check with local conservation organizations and see if they have a need for divers. Include marine archaeology projects. When considering a dive vacation, see if there are any projects you can become involved with while on vacation. Sadly, some of these programs have participation fees that are higher than staying at luxury resorts. Not all are like that. In the scientific paper mention at the beginning of this article, they mention the success of a queen conch project in Belize that resulted in better monitoring and government protection of the conch. That program was done by an organization called Reef CI. They have a very flexible volunteer program whose fees that include accommodations, food, training and diving are much less than an average vacation. 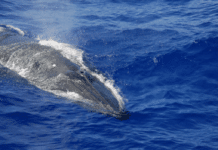 On the Great Barrier Reef (GBR), Mike Ball’s liveaboards support a few different research projects, including shark studies, minke whale studies on the GBR and nautilus studies at the remote Osprey reef. These trips are at the normal price but provides a great experience. As an diver knows, diving opens up a whole new world to you. Becoming a citizen scientist just expands that world.